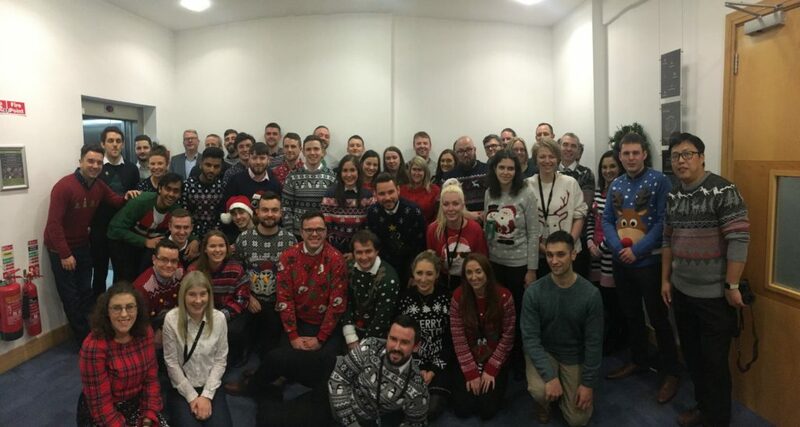 EisnerAmper Ireland has taken part in two charity initiatives over the Christmas period, raising money for the Make-A-Wish Foundation and St. Vincent de Paul. On Thursday 13 December, EisnerAmper Ireland held a Christmas Jumper Day, with EisnerAmper Ireland’s staff wearing Christmas Jumpers to work in aid of the Make-A-Wish Foundation, a children’s charity that grants the wishes of children diagnosed with life-threatening medical conditions to give hope, strength and joy in over 45 countries worldwide. The event was a huge success and we have raised over 200 euro so far. EisnerAmper Ireland are delighted to support such a great charity, especially at Christmas time. 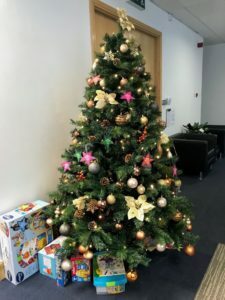 EisnerAmper Ireland has also supported St. Vincent de Paul (SPV) again this Christmas by taking part in the Giving Tree campaign. SVP provide local families in need with support and Christmas gifts for children. We are delighted to be involved in such a great cause during the holiday season. At EisnerAmper Ireland, we deliver solutions to support our community. For more video content, check out our video section on our homepage. 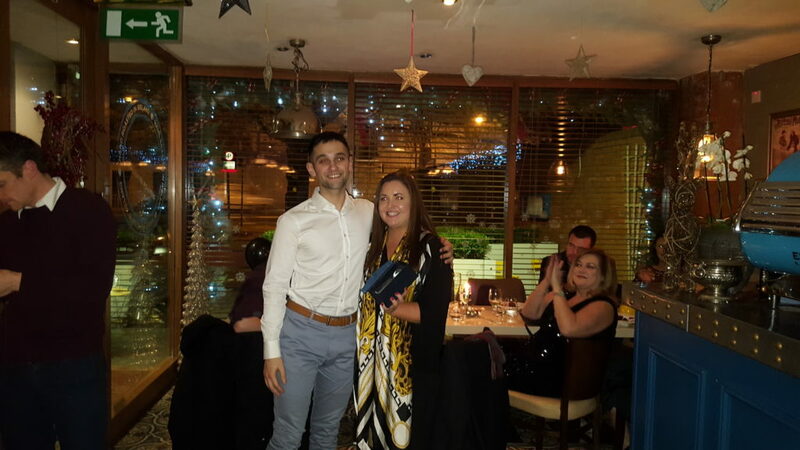 On 7 December 2018, EisnerAmper Ireland hosted its annual Christmas Party in The Greenery, Donnybrook, Dublin 4 where all staff enjoyed a three-course meal and drinks. The agenda for the evening included EisnerAmper Ireland’s second annual ‘DNA Awards’ for 2018. The awards were presented to EisnerAmper Ireland’s staff members who have illustrated our DNA in action in 2018. 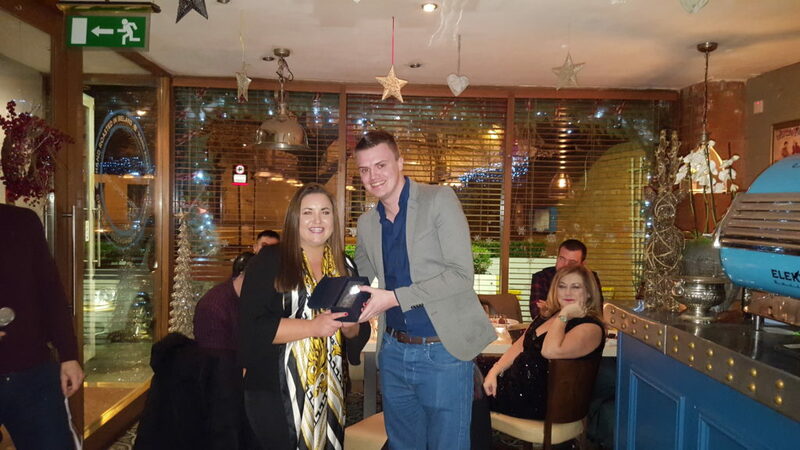 The winners were awarded with a crystal plaque to celebrate their achievements by Frank Keane, Head of Client Internationalisation and Human Resources Partner. Also, this year, to mark the EisnerAmper Academy 2018’s theme of ‘Delivering Quality Solutions’, a 6th award was given for ‘Delivering Quality’ to Andrew Brady. We care about business and we care about the people we work with in business. Our trainees are involved in all elements of practice management from day one. From the outset, trainees work closely with partners and senior management to deliver services to our key markets. This approach facilitates our trainees getting hands-on experience while also developing the core awareness, knowledge, skills and confidence to succeed in their careers. To learn more about our trainee programme, click here. 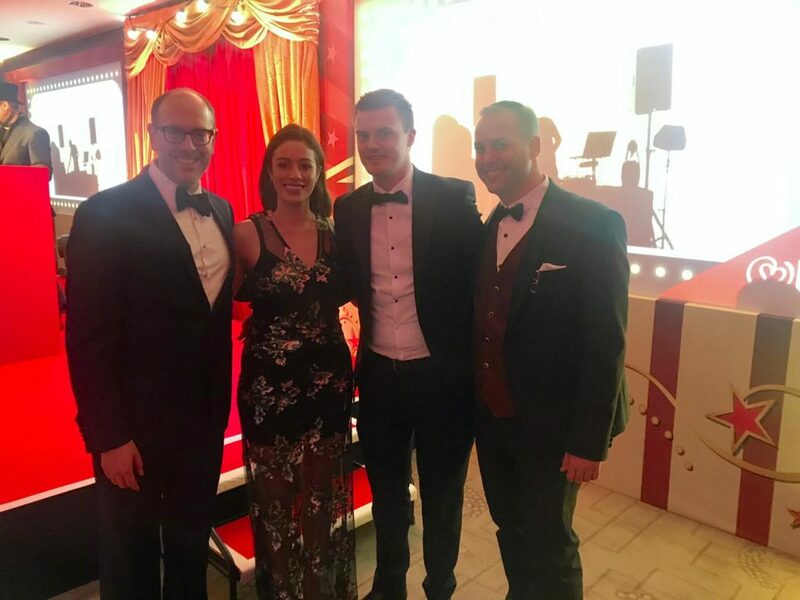 On Friday, 30 November 2018, EisnerAmper Ireland’s Joseph Halligan joined Rob Mirsky, Managing Partner of the EisnerAmper UK office and Edo Pollack, Director of the EisnerAmper Israel office, at the Help for Children Annual London Benefit Dinner in the InterContinental, Park Lane, London. Help for Children is a charity organisation which is run by leading members of the hedge fund industry. The charity focuses on protecting and healing children from the trauma of abuse. 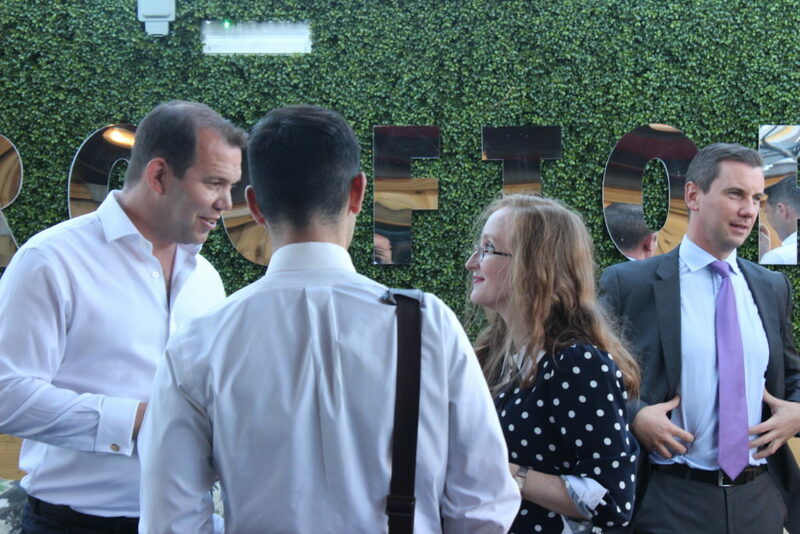 The event was a great success and was also a great chance to connect with our EisnerAmper Global colleagues. To read more about the Help for Children charity click here. 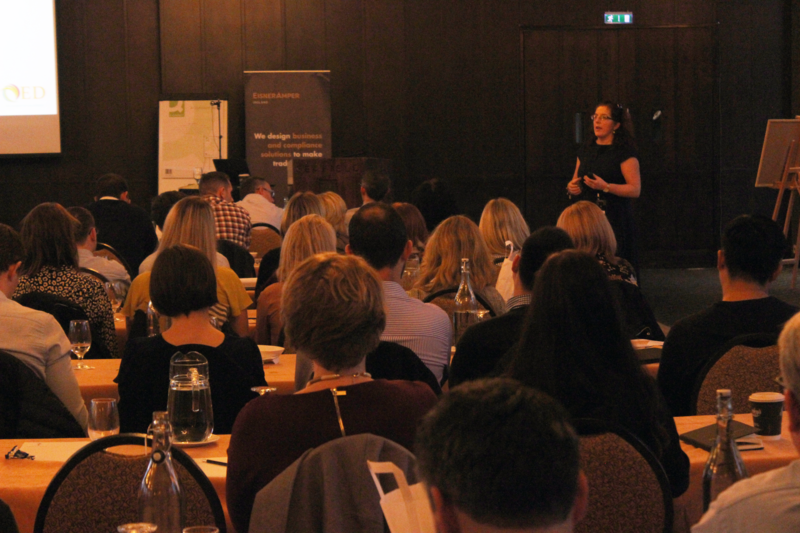 The EisnerAmper Ireland Academy 2018, the Firm’s annual all-staff two-day residential training programme, was held for the seventh year running in Seafield Golf & Spa Hotel, Gorey, Co. Wexford, on 15 & 16 November 2018. The residential programme is specifically designed for our professionals to accelerate their “on the job” learning and to facilitate EisnerAmper Ireland staff on the journey towards becoming not just great accountants but exceptional advisers and practitioners. Participants acquire the necessary core awareness, knowledge, skills and confidence to successfully further their careers in practice. 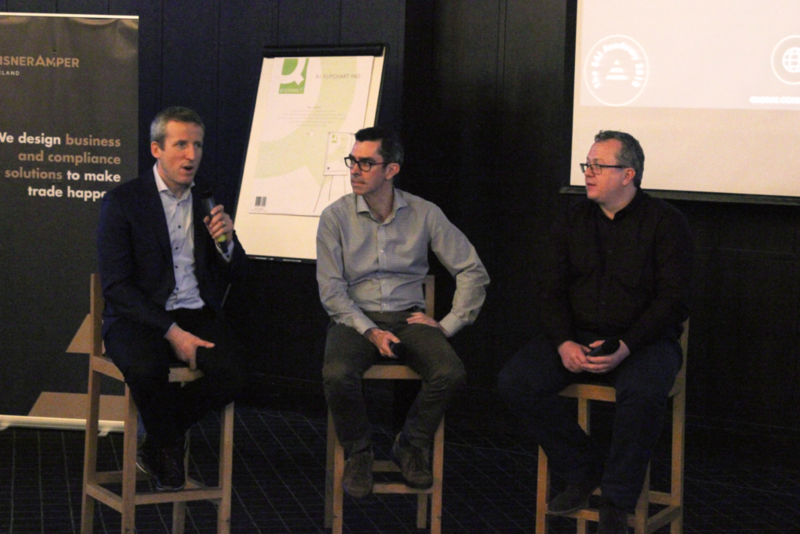 The theme of this year’s programme was ‘Delivering Quality Solutions’ and included workshops, technical training, team building and knowledge exercises reaffirming EisnerAmper Ireland’s commitment to achieving and maintaining consistent excellence in quality standards. Speakers included Fergal Murray, former Guinness Brew Master; Joanne Powell, a Learning and Assessment Professional and Business School Accreditation Advisor with QED: The Accreditation Experts; and Peter Cogan, Partner with EisnerAmper US, Co-chair of the Firm’s Financial Services Group and Chairman of EisnerAmper Global. 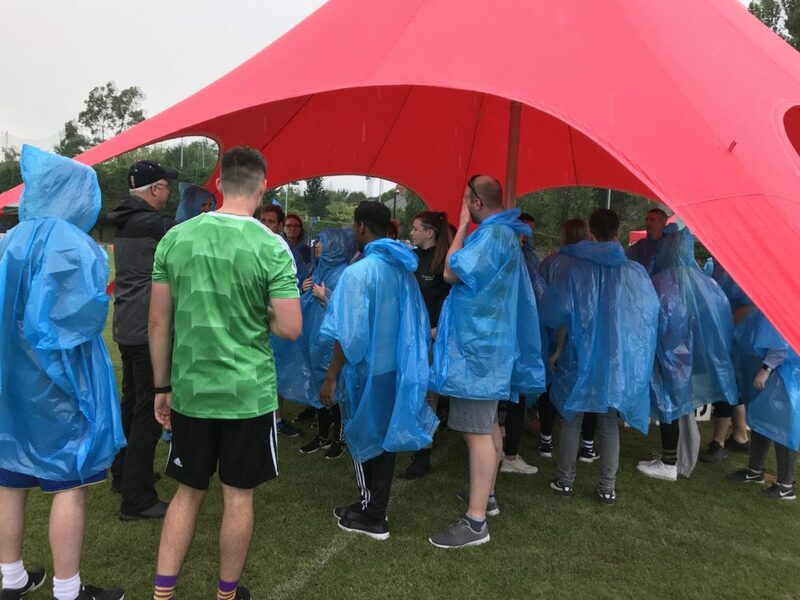 Participants also enjoyed some downtime where they could avail of the award-winning facilities the hotel has to offer and also enjoyed a three-course meal in the Seafield Clubhouse restaurant. On 7 November 2018, EisnerAmper Ireland joined thousands of runners to support ongoing research to find a cure for paralysis. 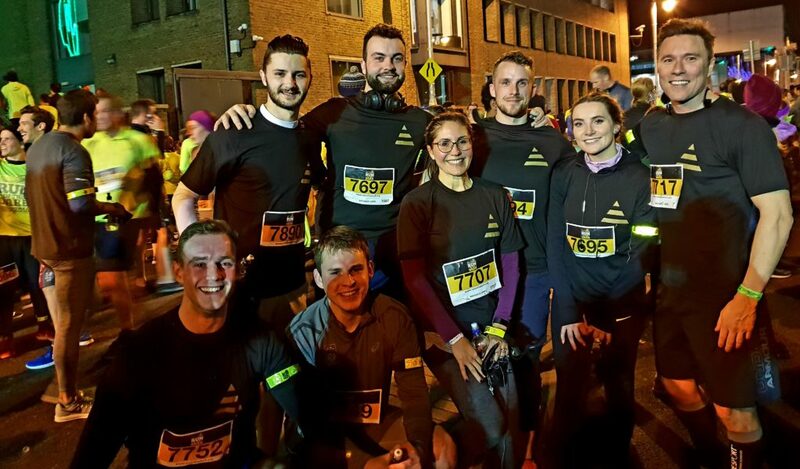 Team EisnerAmper was led by Brian Hillery, Partner, Advisory and also consisted of Barry Horan, Warren Bridge, Nina Zafra, Michéal Ó Cualáin, Matthew McCarthy, Stephen Murtagh, Dagan Morris, Zoe Moloney and Jonathon Squire. The Dublin event left from Custom House Quay at 8.00pm. Run in the Dark is the main fundraiser for the Mark Pollock Trust, which believes we can cure paralysis in our lifetime. Unbroken by blindness in 1998, adventure athlete Mark Pollock was left paralysed in 2010. Now, with the team at the Mark Pollock Trust, he is exploring the intersection where humans and technology collide, catalysing collaborations that have never been done before and unlocking $ 1 billion to cure paralysis in our lifetime. At EisnerAmper Ireland, we design solutions to support our community. 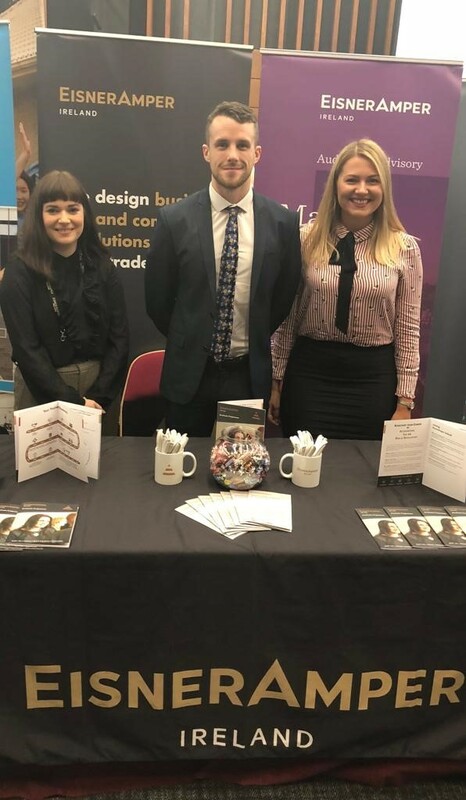 Laura Cowman, Kinga Houlding and Jennifer Higgins from EAI’s Human Resources team, as well as a number of interns and graduates from EAI’s Financial Services, International Business and Tax departments, attended the graduate fairs. 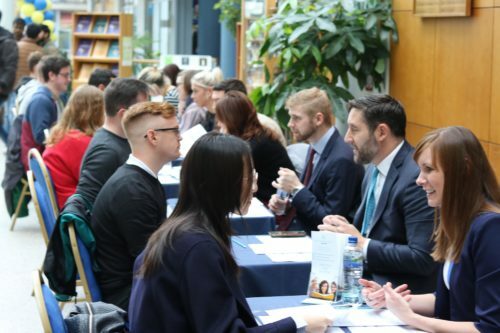 In addition to attending career fairs, EAI’s HR team also conducted mock interviews with Business, Accounting & Finance students in the National College of Ireland (NCI) in Dublin’s International Financial Services Centre (IFSC) as part of their ‘Getting into Accounting & Finance’ event. Jack Carey, Ketri Kivi and Dagan Morris at UCD’s Business, Finance & Management Career Fair, 2018. Employer-led mock-interviews as part of NCI’s ‘Getting into Accounting & Finance’ event. Photo courtesy of the National College of Ireland. 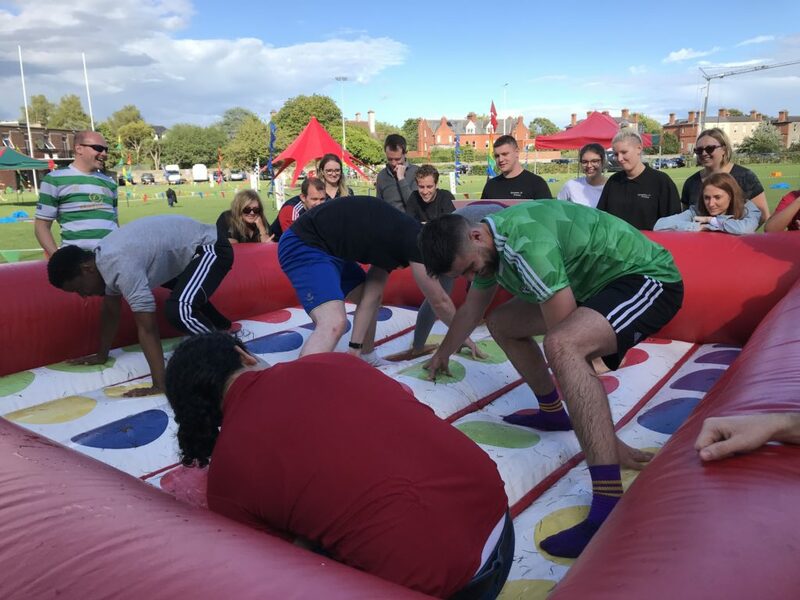 On Thursday 17 August 2018, EisnerAmper Ireland’s staff took part in our Summer Games & BBQ 2018 in Wanderer’s Rugby Club, Merrion, Dublin 4. 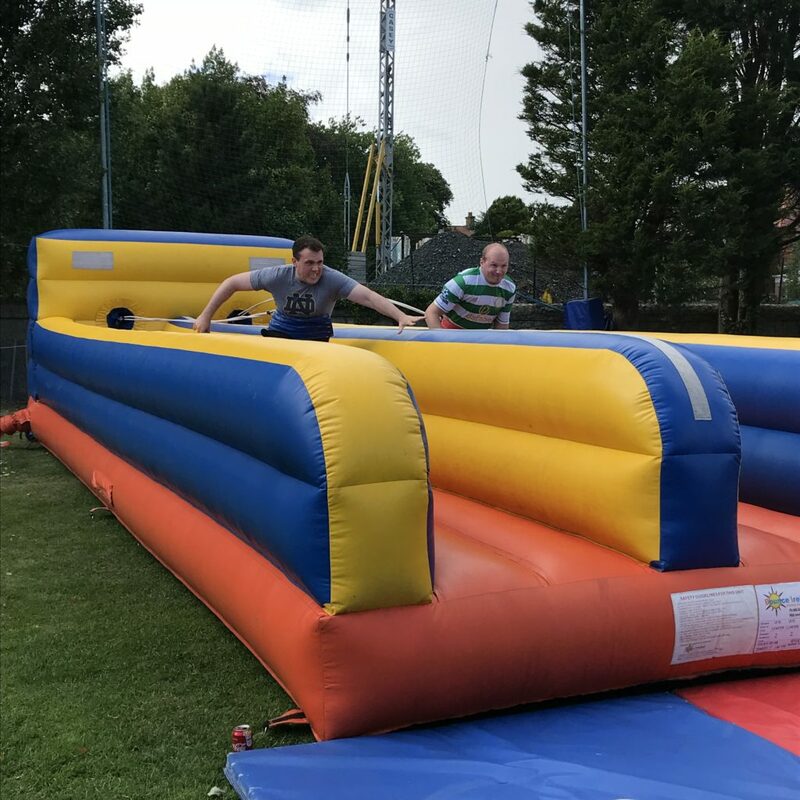 The EisnerAmper Ireland team enjoyed an afternoon of sports and fun activities in one of Dublin’s most prestigious rugby clubs, followed by a BBQ and drinks at the venue. 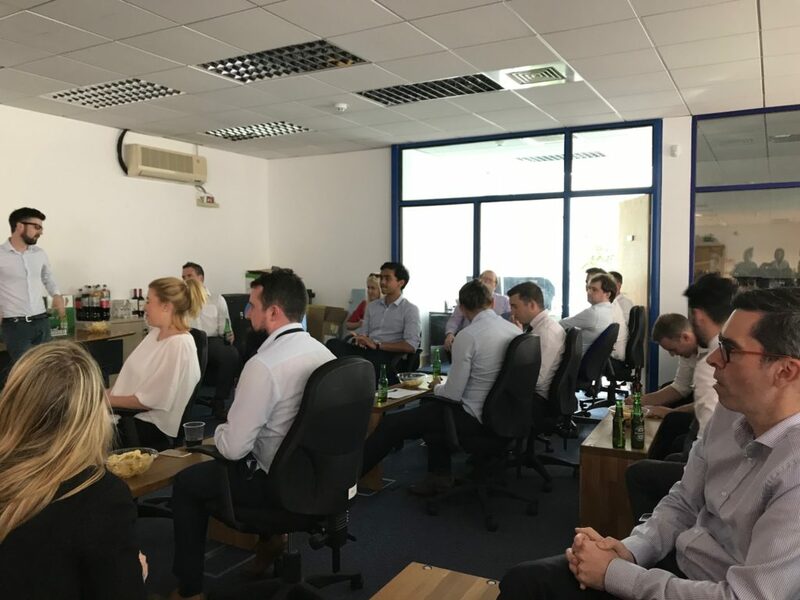 The evening was a great success and provided an opportunity for newer members of the team to get to know the rest of the Firm, and for all employees to enjoy a break from working hard on behalf of our clients. Team 2 won the first place prize of the Summer Games. 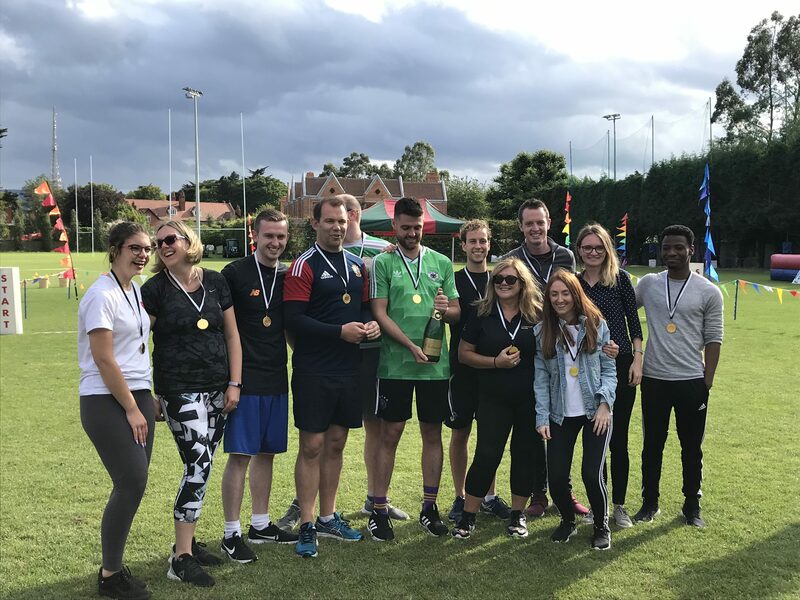 The winning team consisted of Audrey Rigley Smyth, Cian Collins, Claude Makiesse, Conor Totterdall, Diana Aleni, Gavin Lee, Iwona Cryanska, Jeff Landers, Jennifer Kelly, Karen Moloney, Karl Holmes and Shaun Boyle. A selection of photographs from the evening can be found below. 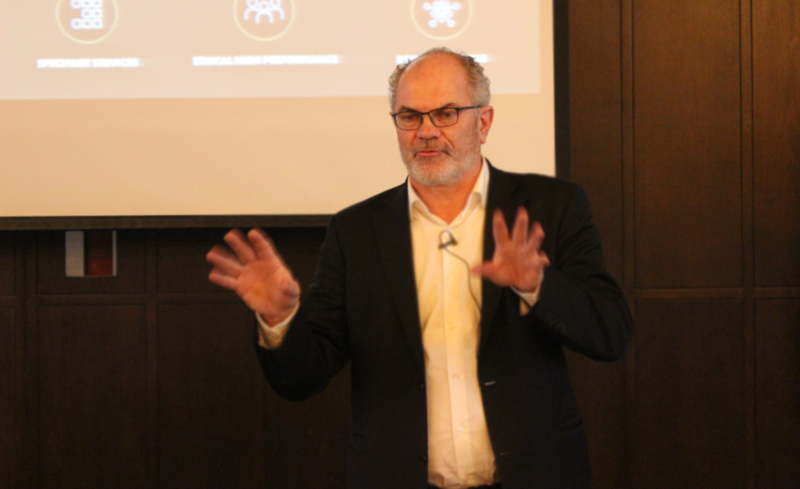 Our team includes people with multi-disciplinary backgrounds who bring fresh, candid and connected perspective to how we work. We strive to nurture and leverage the talent and unique ability of each individual member of our team. To read more about Life in EisnerAmper and about our Graduate Trainee Programmes, click here. 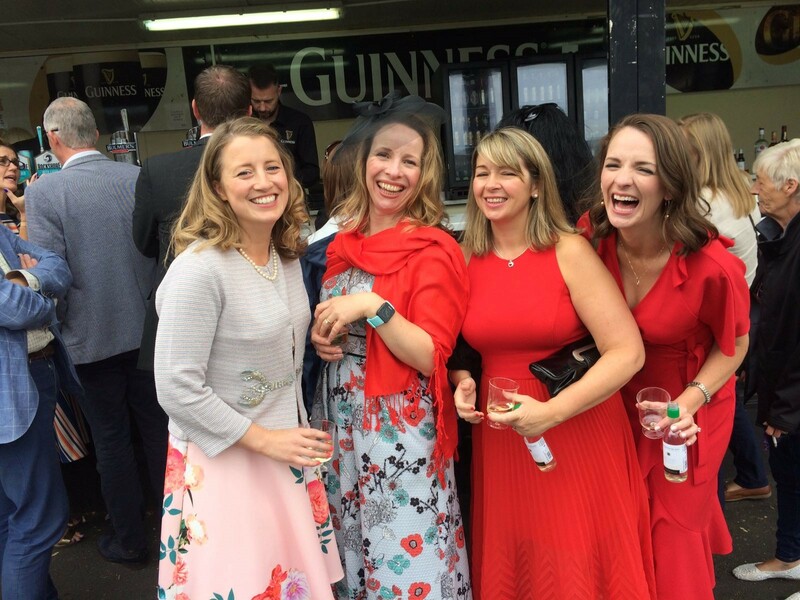 On Thursday 9 August 2018, EisnerAmper Ireland hosted a table at Ladies’ Day at the Dublin Horse Show in the RDS. 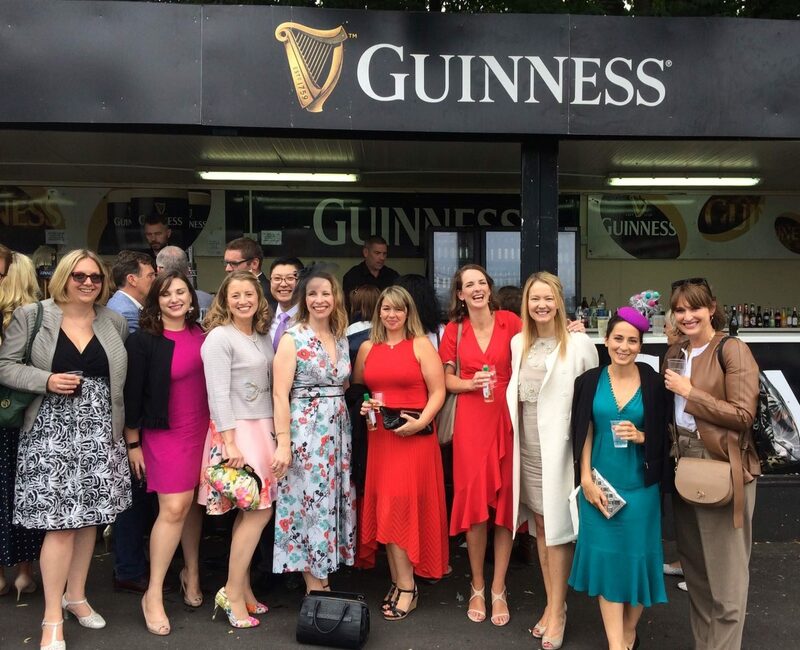 Jennifer Kelly, Partner and Head of Outsourcing and Cormac Doyle, Partner and Head of Tax were joined by clients, contacts and our colleagues in IDA Ireland. 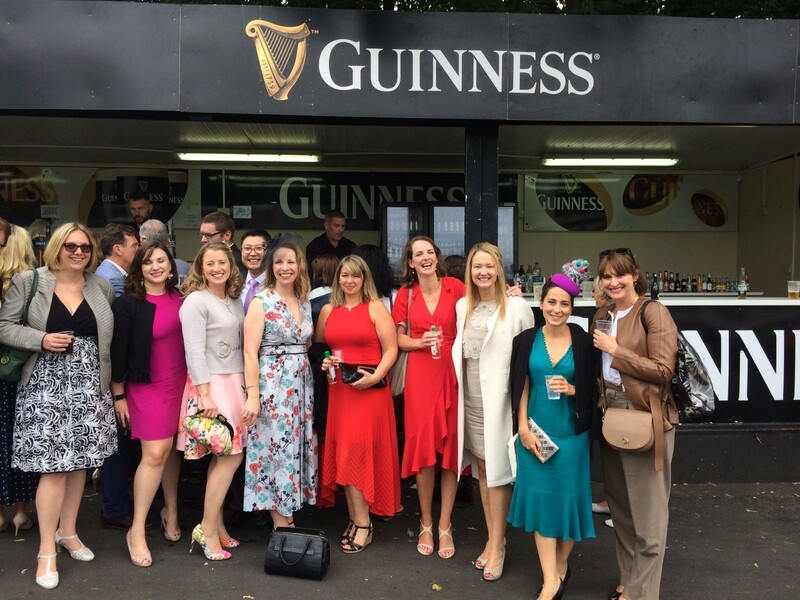 The day was centred around the national & international show jumping competitions and was a great opportunity to network and socialise with clients and colleagues in Ireland’s International Trade community. At EisnerAmper, we design business & compliance solutions to make trade happen. Our dedicated International Business & Tax teams advise global technology and life sciences businesses, financial institutions and their advisors on internationalisation. Our approach is to look at the client through the prism of their business model and vision, and to provide them with the local knowledge, ideas and support necessary to facilitate their European international trade planning and execution. In this regard, if we can assist you or your business in any way, please contact Jennifer Kelly or Cormac Doyle. 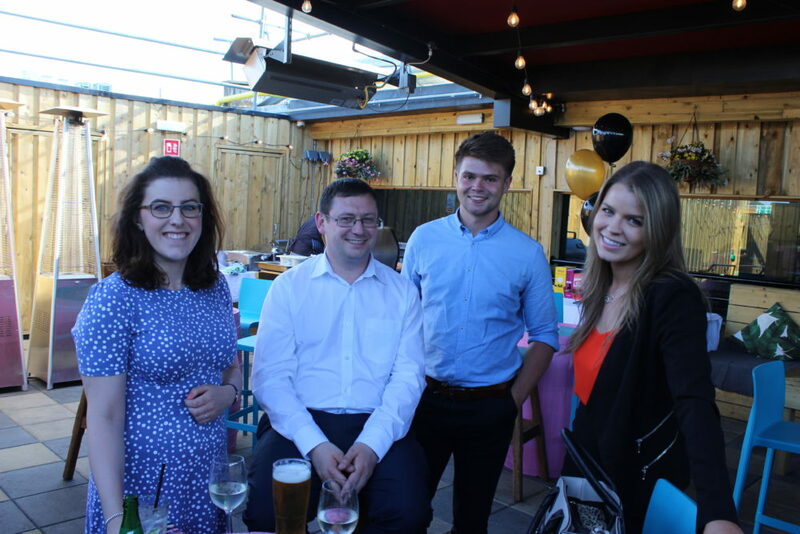 On Thursday 19 July 2018, EisnerAmper Ireland hosted its annual Alumni Reunion event in the Rooftop Terrace Bar, Opium, Wexford Street, Dublin 2. The evening was a great success and provided an opportunity to introduce some of the newer members of our team, including Pat Cloran, Partner and Head of Risk & Quality and Gavin Lee, Head of International Trade. 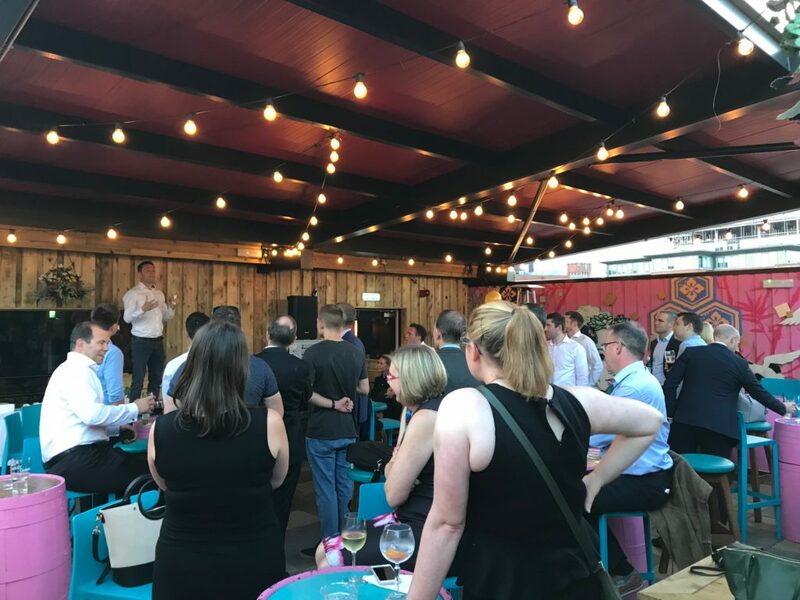 It was a pleasant evening where both current and former team members enjoyed good conversation, networking and food and drinks in the heart of Dublin. Brian Hillery, Partner, addressed guests on the evening, emphasising the great importance of the alumni network to EisnerAmper and noting the progression of the Firm and wider EisnerAmper Global network over the past year, including the opening of two offices in Singapore and London and the appointment of several senior team members. Our trainees are involved in all elements of practice management from day one. From the outset, trainees work closely with partners and senior management to deliver services to our key markets. This approach facilitates our trainees getting hands on experience while also developing the core awareness, knowledge, skills and confidence to succeed in their careers. To learn more about our trainee programme, click here. 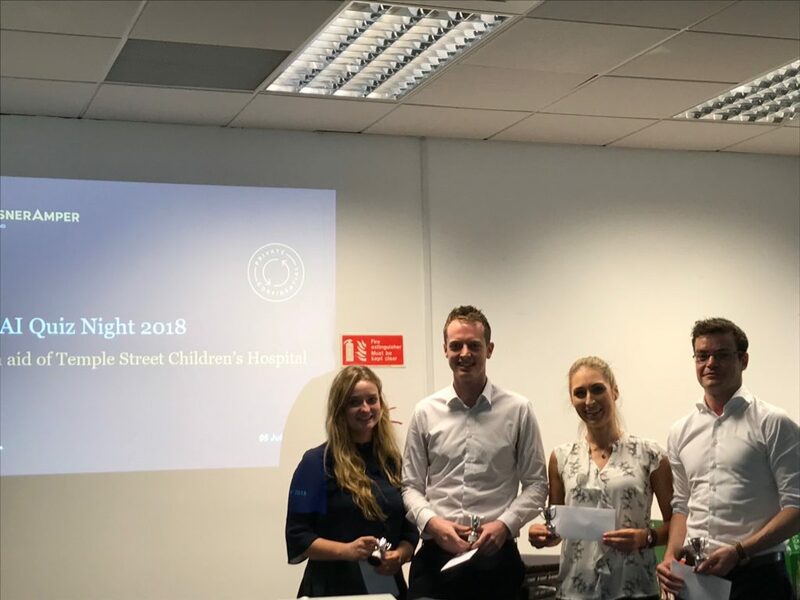 On the evening of Thursday 5 July 2018, EisnerAmper Ireland held a staff Quiz Night in its Dublin office, organised by staff in the International Business team, in aid of the Temple Street Children’s University Hospital Foundation. The evening was a great success and an opportunity for EisnerAmper Ireland staff to enjoy an evening of challenging quiz questions and some delicious food and beverages, also giving attendees the opportunity to win plenty of fantastic prizes donated generously by some local businesses in Sandyford and in the wider Dublin area. 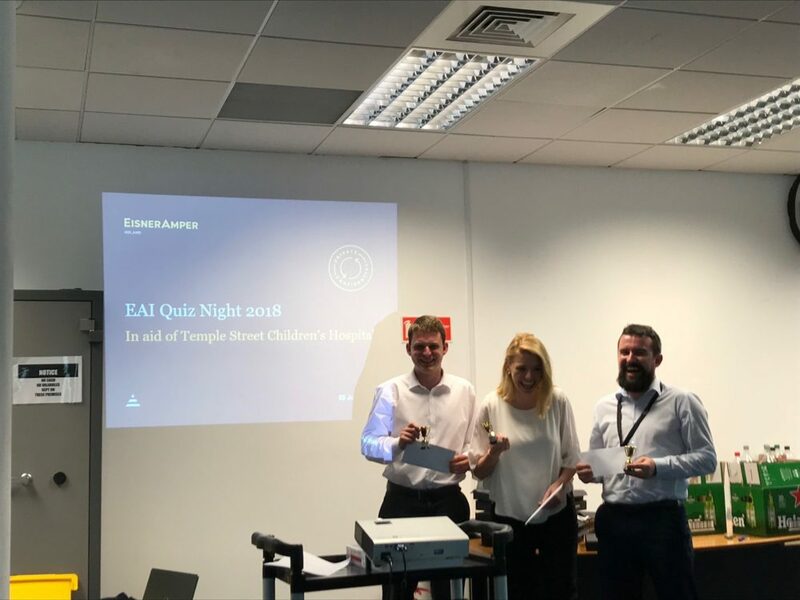 The winners of the first place prize was the team ‘Eggheads’, which consisted of Jonathon Squire, Claire Melia, David Bell, Peter Buckley and Aileen MacDonagh. The runner up team was ‘Quizteama Aguilera’ whose members were Aideen Conneely, Cian Collins, Clodagh Byrne and Iain FitzGerald. The team that won a bonus point for the most creative name was ‘Old MacDonald had a Firm, EA-EAI’. EisnerAmper Ireland is taking part in a number of events this summer in aid of Temple Street Hospital, which cares for 150,000 children each year in Ireland, and will be taking part in Techies4TempleStreet on 6 July. To read about our previous Bake sale event in aid of the Temple Street Foundation, click here, or our Boogie Bounce event, click here. To learn more about the Temple Street Hospital Foundation and to donate, click here. Throughout 2018, EisnerAmper Ireland has taken part in Junior Achievement Ireland (JAI). 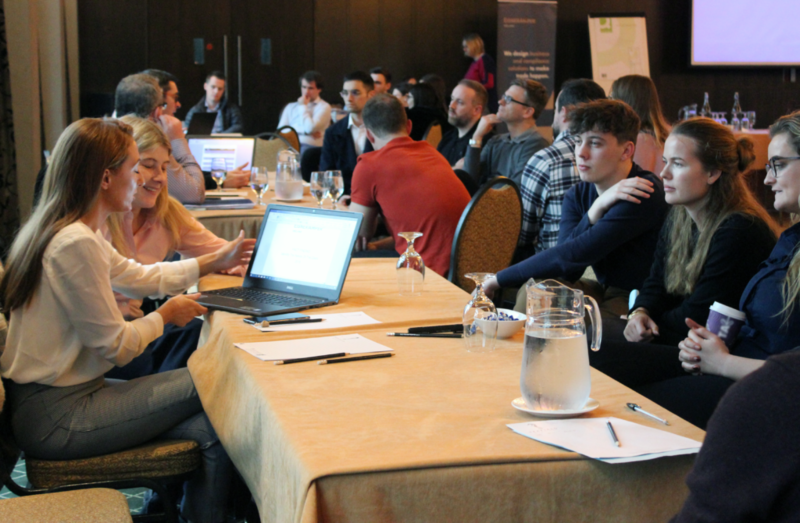 As part of EisnerAmper Ireland’s Corporate Social Responsibility (CSR) programme, the Firm annually takes part in JAI, with both trainees and senior staff members assisting young people to develop the skills they need to succeed in a changing world. 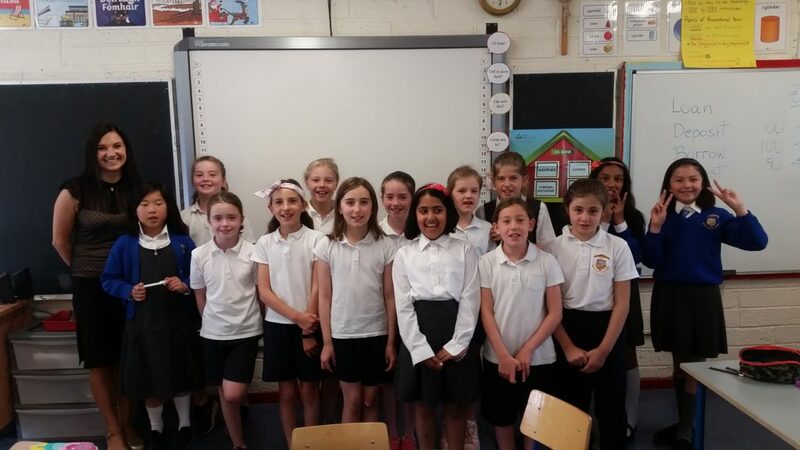 Audrone Medele, Senior in Financial Services, completed the Spring term programme in Our Lady’s Girls N.S, which involved teaching 3rd class students as part of their ‘Our City’ programme. The ‘Our City’ programme involves learning about the town / city and the various businesses that are located within it. The programme involved visiting the school and teaching a 5 lesson plan over a number of weeks. Students learned the importance of the city planner’s role in order for the city run smoothly. 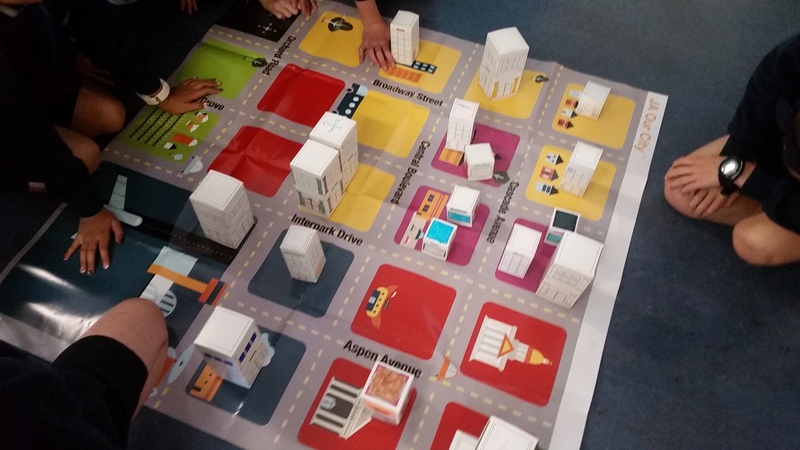 During the second lesson, which turned out to be students’ favourite, the students familiarised themselves with the blueprint and experienced building their own city. The pupils also became entrepreneurs by opening their own restaurant, created an advertising campaign for their ice-cream business and learned how banks operate and make money. Following the completion of the programme, each member of the class received a participation certificate. Barry Horan, Supervisor in International Business, completed the Summer term programme in St. Tiernan’s Community School in Balally, which involved teaching a class of second year students about “the economics of staying in school” over 6 weeks. “The economics of staying in school” programme involved teaching the students about the correlation between getting a job in the students desired field and the role that education plays in obtaining meaningful employment and career success. Following the completion of the programme, each member of class received a participation certificate and a party was held in the class during the final lesson. Junior Achievement Ireland (“Junior Achievement”) is part of a worldwide organisation reaching out to over 10 million young people each year. Junior Achievement aims to inspire and motivate young people to realise their potential by valuing education and understanding how to succeed in the world of work. This programme is operated in both primary and secondary schools and fosters a spirit of enterprise within participating schools. As part of the Junior Achievement programme, a series of ‘Guru lectures’ are organised in participating schools across the country where students enjoy presentations from business leaders on their respective professions. This gives the students the opportunity to meet with members of the business community and learn about different types of careers. At EisnerAmper Ireland, we develop practitioners, not just accountants & advisers. 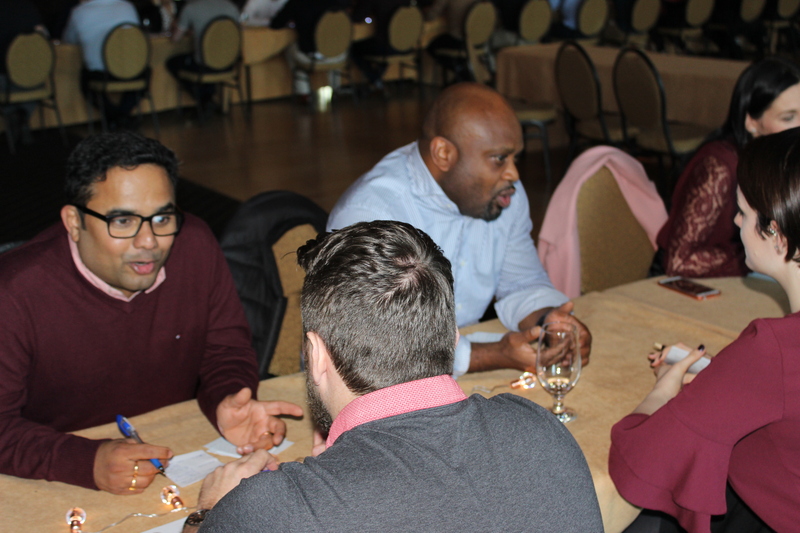 Our trainees are involved in all elements of practice management from day one, including engaging and working closely with those in our community. From the outset, trainees work closely with partners and senior management to deliver services to our key markets. This approach facilitates our trainees getting hands on experience while also developing the core awareness, knowledge, skills and confidence to succeed in their careers. 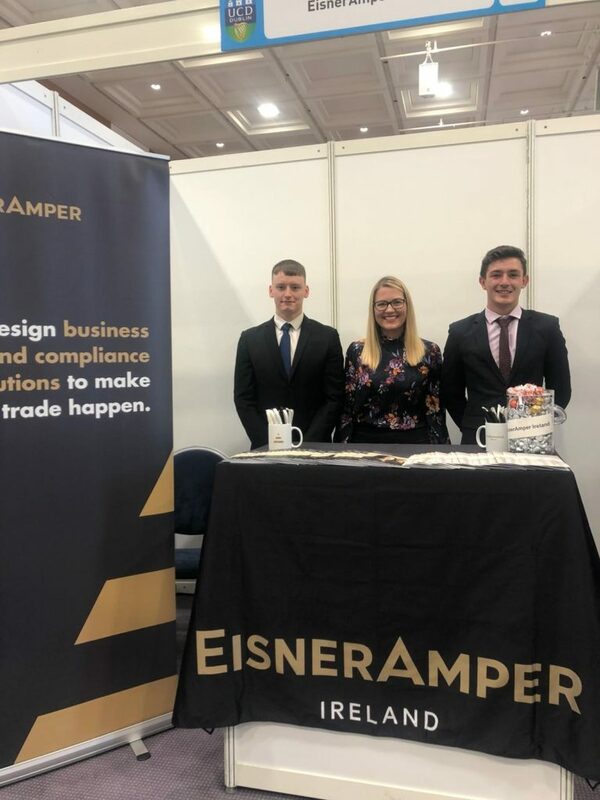 To read more about our graduate programmes and how to kickstart your career at EisnerAmper Ireland, click here.